Arsenal manager, Unai Emery has finally decided to sell Egyptian midfielder, Mohamed Elneny, so as to raise funds to sign Villarreal star, Pablo Fornals, as Aaron Ramsey’s replacement at the club. Ramsey will leave the Emirates at the end of the season after the North London club decided not to renew his contract. According to The Sun, the Gunners plan to activate a £17.8million release clause for Fornals and will fund the move by selling Elneny. 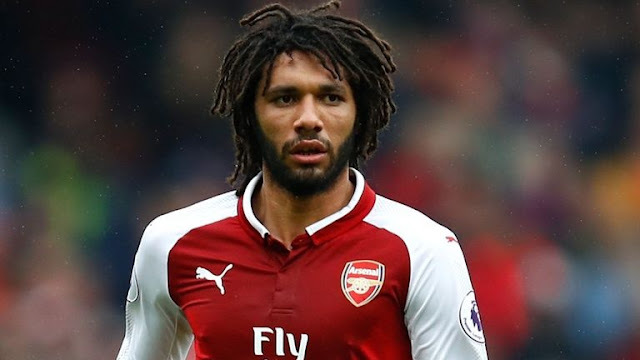 The report claimed Elneny is out of favour under Emery and is yet to feature in the Premier League this campaign. Fornals has been impressive in Spanish La Liga for Villarreal this term. The 22-year-old has capped twice for Spain and Emery’s side are prepared to meet the player’s £17.8m release clause in his contract.